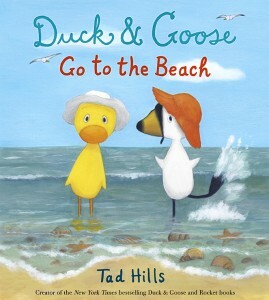 A new Duck & Goose picture book–the first in seven years! Duck wants to go on an adventure. Goose doesn’t. He doesn’t see the point. After all, why would they go anywhere when they’re happy right where they are? But then Goose sees the ocean and loves it. Who doesn’t? Well, Duck, for one! A perfect book for anyone who’s ever felt excited, but also nervous about leaving home.